Growing up in Austin, Blaine's father taught him how to fish at an early age throughout the Lower Colorado River basin, instilling a passion he keeps to this day. Some of his fondest childhood memories are of the summers he spent in northwestern Arkansas on the Little Red and Arkansas Rivers with his grandfather and the many family trips to the Texas coast. 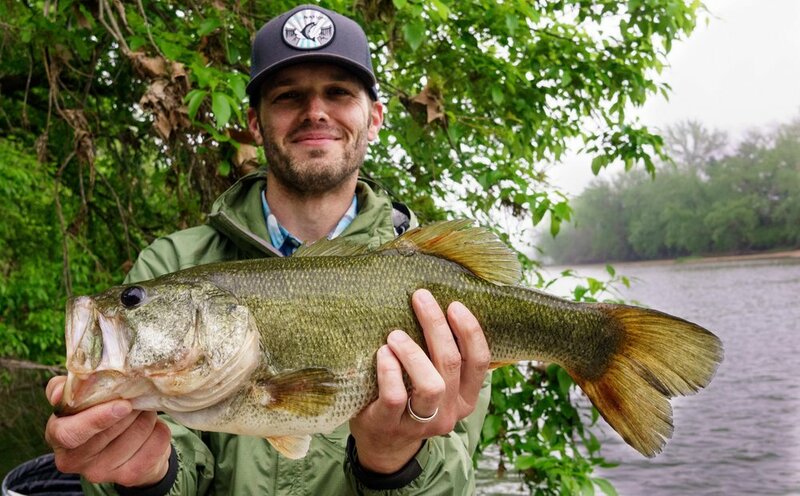 Blaine picked up fly fishing over a decade ago and has primarily focused on fishing for our state fish of Texas, the Guadalupe Bass on the Lower Colorado River and making weekend trips to the middle Texas coast for Redfish. After 15 years of working full time in various tech industries, Blaine decided it was time to give up the grind and currently works freelance for several PR and tech companies, between running trips for All Water Guides. When he isn't on the river, Blaine enjoys rock climbing and has traveled to multiple countries to pursue bouldering and sport climbing. He resides in south Austin with his beautiful and talented wife, son and dog Mitzi.